We use the Royal Mail. It's completely FREE, reliable, easy, secure... and there is no waiting at home for a courier to pick-up! You can also keep track of your trade at five stages. So you have a better idea of when to expect your payment or credit. 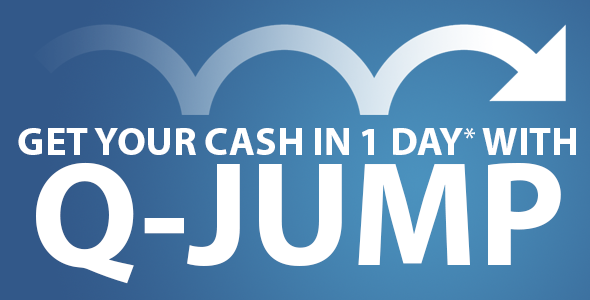 Just follow these simple steps to get your cash or credit. 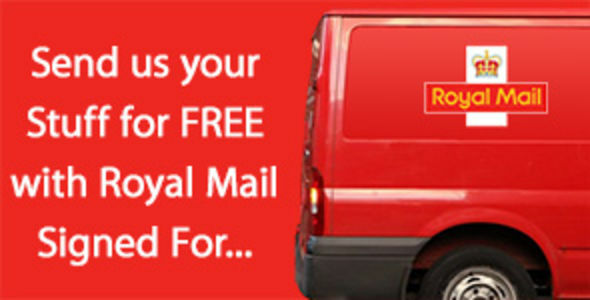 Fill out the trade-in details on the Royal Mail page as directed during check-in (see below). Print out the Royal Mail postage label provided to you. This label will also be sent to you by email in case you wish to print it out later. If you cannot print the label see below. Attach the completed label to the front of your package. Take your labelled package to the nearest Post Office where they will scan the package onto their system. Pay nothing but receive a receipt and Tracking Number. Leave the Post Office safe in the knowledge that your package is on it's way to our warehouse. Take the email and your packaged item to a Post Office® branch or Royal Mail Customer Service Point (CSP). We’ll then scan the QR code and print the label for you. If you choose a CSP, check before you go that it can print labels. Check our location finder and look for ‘Label printing service is available’ under 'facilities'..
Drop off your package and go. More details on our "No Printer" Service can be found here. PLEASE NOTE: Each package must contain a combined value over £5 in total (per label used). If the value is under £5 please use your own postal system or £2 will be deducted from your final trade-in or cash payment. 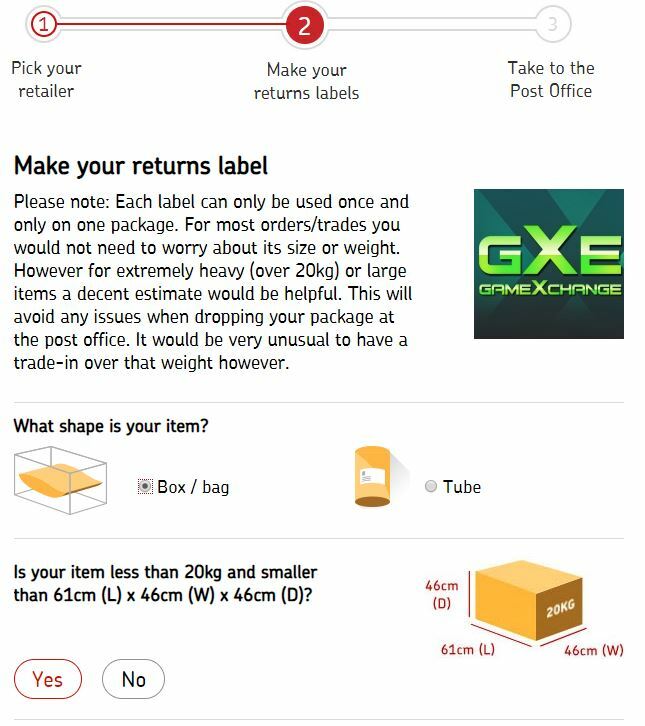 WEIGHT LIMIT: There is a 20kg upper limit for parcels sent using this method. In the unlikely event that your trade-in weighs more than 20kg please contact us and we will make alternative arrangements. 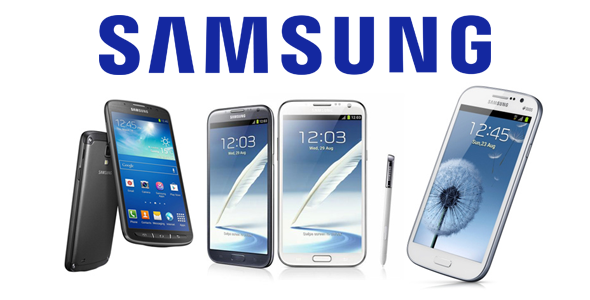 Trade-in your Games, Apple and Samsung devices, or DVDs at GameXchange, best prices given. 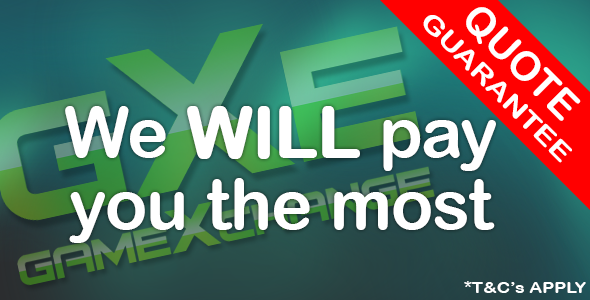 Sell Games, DVDs, Samsung or Apple Devices for cash to GameXchange to get top values.